In Part I of our most recent blog we discussed how important it is to determine an attorney’s level of experience with family law and those specific issues which are of particular importance to the client. Further, we addressed how important it is that potential clients evaluate their comfort level with the attorney and his or her staff. The client should feel confident that the attorney: has a good understanding of the client’s unique situation; that they are able to communicate to the client a legal strategy to assist them; and that the attorney and staff have the competence to execute that strategy. In today’s blog, we cover the importance of evaluating the attorney’s familiarity with the venue in which the divorce will be pending and the particular judge who may be presiding over that divorce. We will also discuss the importance of having a clear understanding of the billing practice of the attorney and the attorney’s office. 4. How familiar is the attorney with your family law judge? Family court Judges are often granted wide discretion in several key areas of the law. In Missouri, proper venue may be found the county where either spouse resides. Having an attorney who has a working knowledge of the family court judges who work in a particular venue and their views on relevant issues of the law can be a very valuable asset. 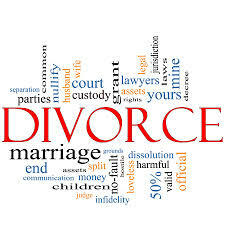 Not only is this important in the event of a divorce trial, but having this knowledge at the early settlement conference stage and early motion stage of a divorce, when a judge’s first impressions are often formed, can be helpful in communicating with the client likely results on key issues and developing sound strategy to achieve the client’s desired results. Therefore, you should inquire with your potential attorney how familiar he or she is with the Judges who could be presiding over your divorce. Unfortunately, a lack of familiarity may lead to unwanted surprises and the formulation of legal strategy that can miss the mark. 5. What are the billing practices of the attorney and his office? Attorneys come with a wide array of billing practices that often have very little to do with the quality of their representation. Simply put, it is unusual to find a cause and effect relationship between the highest legal fees and superior legal representation, Therefore, it is important to be as knowledgeable on this issue as you can before moving forward with retaining an attorney. During the initial consultation clients should inquire about basic cost information, including the initial retainer, the hourly billing practices of all people in the office who will be working on the case and how third-party costs, which may be incurred, are handled. Based upon the facts of your situation, ask for a range of the expected total fees if the divorce becomes highly contested or remains moderately contested. While it may be extremely difficult, depending on specific circumstances, for a lawyer who bills for his or her time to give an entirely accurate answer at such an early stage in the process, it is still reasonable to discuss an approximate a range of anticipated fees and costs. If there are multiple lawyers in the office, you should inquire if there will be multiple lawyers making court appearances on your case at the same time. If so, you should know if you will be billed for the time for both attorneys and how often this is likely to occur. If you feel you have an understanding of the fee structure, try to objectively evaluate if the fees and costs are likely to be much more than you can afford and if the fees are likely to be significantly greater than the same information you have gathered from other interviews. 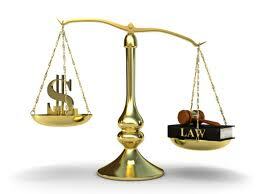 While legal fees are only one piece to the puzzle, it is an important one. Finally, you should be aware that the Missouri Rules of Professional Conduct for lawyers mandate that lawyers should put all fee arrangements in writing so that the client has a clear understanding of how the fees for representation are structured and that there are no misunderstandings. This typically happens at, or just after, the time of the payment of the initial retainer. Finding a lawyer to assist you in your divorce can be a daunting task. But if you focus on gathering information on: the experience level of the lawyer handling family law cases; your feel for the attorney’s knowledge of the law specific to the key issues on your divorce; your personal comfort level with the lawyer and staff; the lawyers knowledge of the Judges in the venue of your divorce; and the billing practices of the lawyer and firm, you will have good foundation to make an informed decision. If you have questions about a potential divorce or other family law matters, we encourage you to contact our office today to arrange for a free initial consultation.